As a business owner, we understand what we need QuickBooks to be able to do, to save time and develop the business further, as well as what the accountant needs to achieve. Our courses are lead by trainers that are both Business Owners and Accountants. The course will run from 10 am to 4 pm, all materials and lunch will be provided. Times are changing, with the introduction of ‘Making Tax Digital’ and the fact that we now want everything to be faster, more efficient and the ability to have real-time information at our fingertips. QuickBooks Online (QBO) is the perfect solution to save you time and help you understand the profitability of your business, products or contracts. QBO is the world’s number one cloud accounting software with over 3.6 million users. 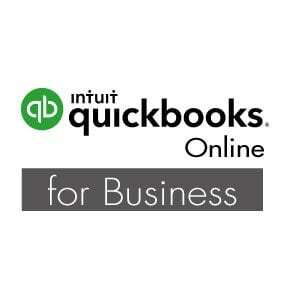 We are proud at Footprints to be a platinum Partner of QuickBooks UK, owned by Intuit. Further to this, Julie is one of only ten trainers that work on behalf of QuickBooks, training businesses and accountants across the UK. Places are limited to ensure sufficient support and time for each trainee. Footprints Training and Growth Ltd. Registered in England & Wales, reg. number 10691363. Registered office: Unit 24 Napier Court, Gander Lane, Barlborough, S43 4PZ.